With Valentines day just around the corner I think it is a good time to consider some gift ideas for those of a geeky persuasion. I have many fandoms to choose from: Sherlock, Harry Potter, Firefly, Buffy… but today I am in Doctor Who mode. So here are 5 Doctor Who themed items by the wonderful artists of Etsy. I may have confessed this before but I have a serious stationary compulsion and these are on my to buy list. It’s £8.73 for a set of six cards and envelopes. 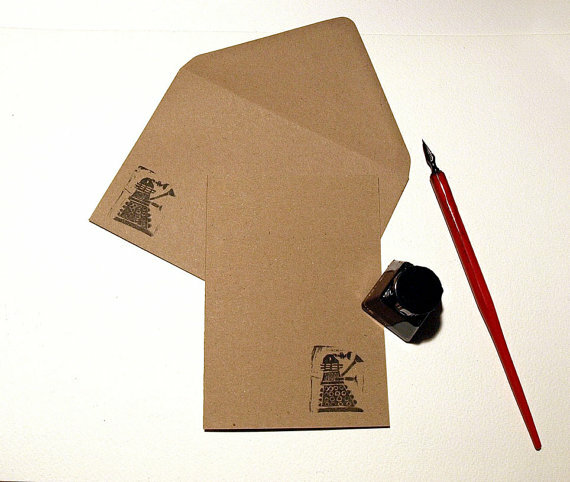 Who wouldn’t want a cute little Darlek in the corner of their letter ready to exterminate any spelling mistakes? Let the love letter-writing commence! This is a such a subtle and stylish way of wearing your fandom love. 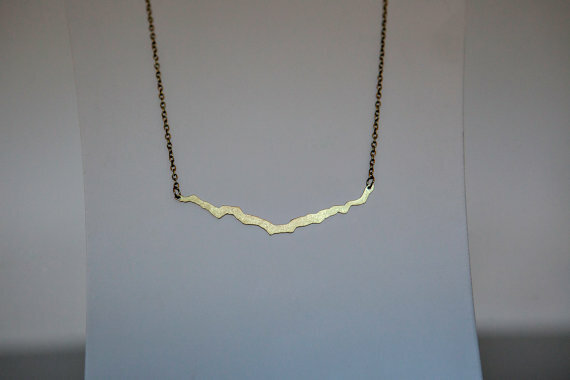 This necklace looks beautiful as a piece of jewellery on its own but only other Whovians will know the real meaning behind that shape. Undercover Cosplay at it’s best and at £33.31 I think it would make a lovely Valentines gift for the right companion. This T-Shirt is just cool. The bold silhouette, the fact that the Doctors are walking in the correct walking style for each of their characters! 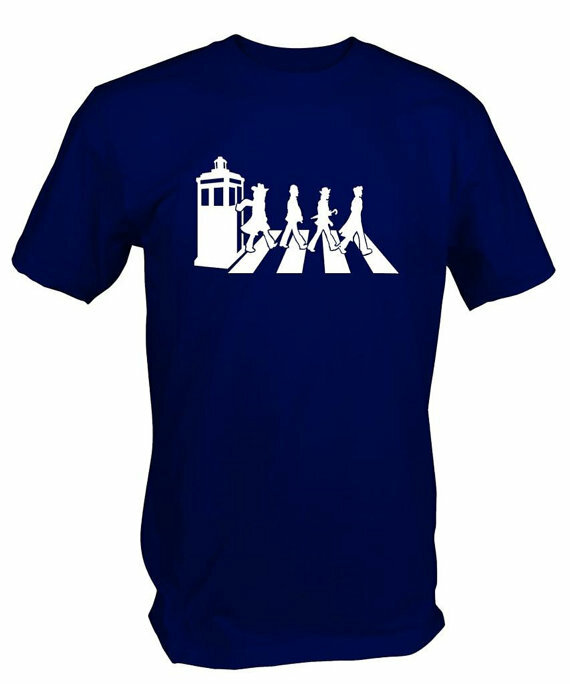 The T-shirt comes in a number of colours but come-on, for the Doctor, Tardis Blue is the only colour. Does anyone else find buying for men difficult? I really do, most presents for men seem to be really boring and generic. 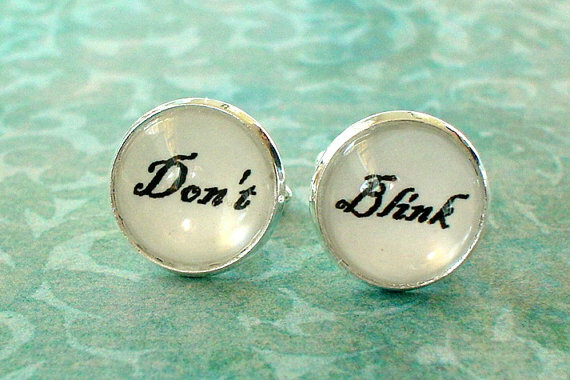 Enter these awesome cuff links! Referencing one of the strongest Doctor Who episodes, ‘don’t blink’ still gives me shivers today. A genuinely scary Doctor Who moment that the stylish gentlemen can now wear on his sleeve for £6.82! And if you are strapped for cash but want your loved one to have a small token of your affection how about slipping this bookmark into the cover of his/her favourite book. 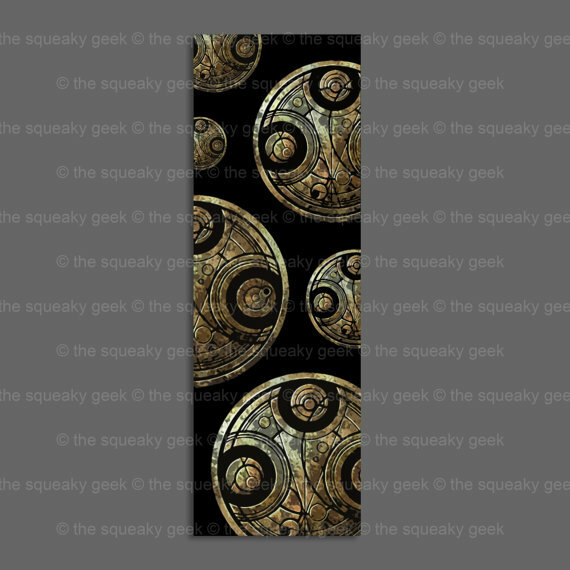 The Squeaky Geek have a range of cool bookmarks including some great Sherlock ones if Consulting Detective is more your style. But whatever your fandom these are beautiful accessories that any book-loving geek would enjoy.